Breathtaking Glacier of snow and Ice. Best of Glacier Bay. 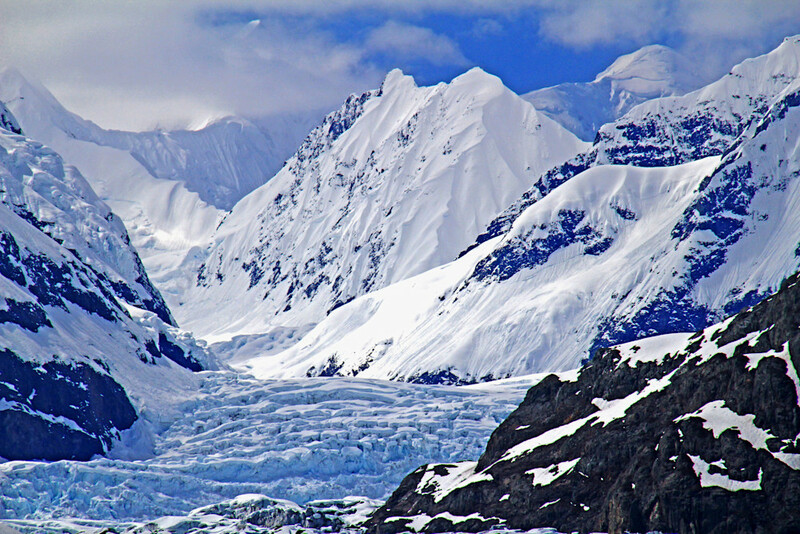 Most dramatic and beautiful mountain of ice and snow in Glacier Bay. There are actually two glaciers together. The one in front is an old, now black glacier and the new brilliant icy wite one. It is hard to photograph and get a good exposure because of the contrast between the black and the white and still maintain detail in the black.